GoldenEye font here refers to the font used in the poster title for the film GoldenEye in 1995. 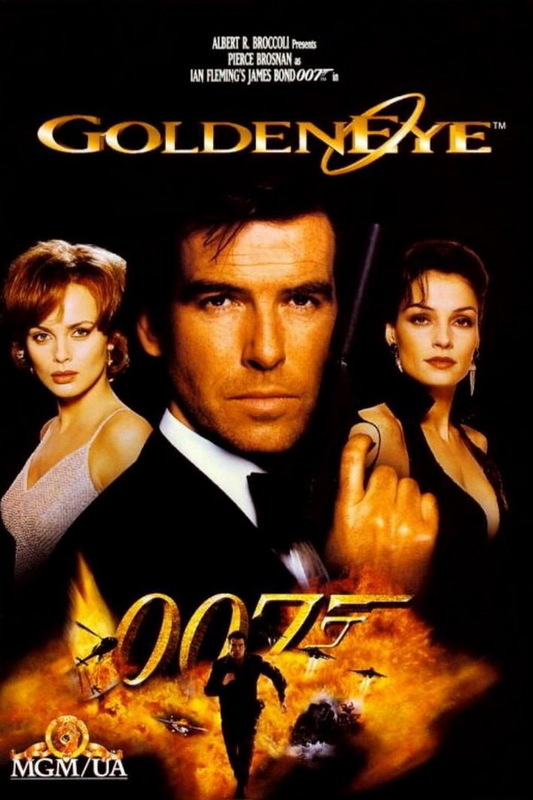 GoldenEye is the seventeenth film in the James Bond series. In GoldenEye, an arms syndication attempts to cause a global financial meltdown by targeting GoldenEye satellite weapon against London and James Bond will fight to stop them. To his surprise, the man behind the crime was his partner 006, who was captured by Russian troops when they were on a task several years ago. The font used in the title for Calvin and Hobbes is similar to a font called 007 GoldenEye, which is created by Jens R. Ziehn. The font is free to use. You can download the font for free here. If you do not want to download and install the font but just like to create simple text or logos using GoldenEye Font, just use the text generator below. The following tool will convert your entered text into images using GoldenEye Font, and then you can right-click on the image to save it or click on the "EMBED" button to get links to embed images on the web.